THE RESULTS THAT MOVE YOU! AT NEXTHOME LIVING THE NORTHWEST YOUR NEXT MOVE COMES FIRST. PASSIONATE, SUCCESSFUL, DRIVEN, DYNAMIC, CREATIVE, SUPPORTIVE ARE SOME OF THE QUALITIES THAT MAKE AN AMAZING NEXTHOME LIVING THE NORTHWEST AGENT! A BETTER OFFICE STARTS WITH YOU! OFFICES LOCATED IN SPOKANE, POST FALLS, AND SANDPOINT. NextHome Living the Northwest culture is a notch above the rest. We pride ourselves in relationships that last a life time. We support, listen, communicate and care about each and everyone of our agents. We provide an office with incredible technology and are committed to making our agents successful. Mike and Sheryl are a diverse group of owners in fields of Real Estate, investing, technology, customer service and accounting. With over 25 years of combined experience of trust and knowledge of our industry they are committed to making each agent successful. Their greatest goal as Owners is building relationships that last a lifetime! 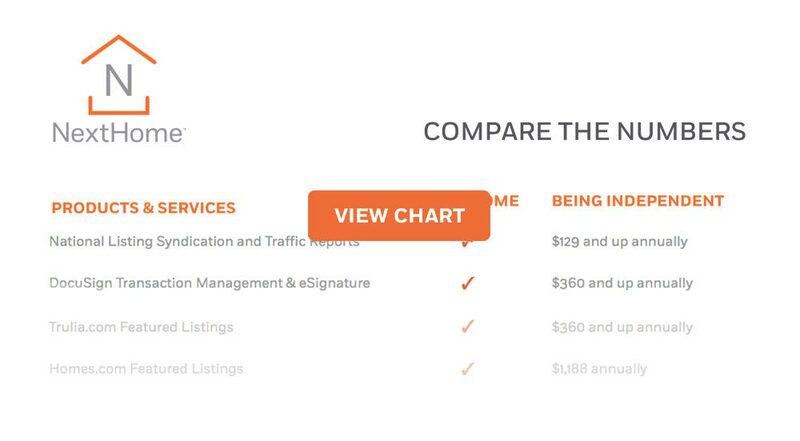 Our Agent Fee Structure is as simple as you can get. We offer two models; a monthly flat rate fee and a 70%-80% split with a 0$ fee structure. In either case, there are no surprises. No extra corporate fees, period. We also offer our agents the option to change plans every six months. Why change plans you ask? One common reason is seasonal. During the slower winter season agents can go on the commission split. Then when the busy summer arrives agents can switch to the monthly flat rate. Great option isn’t it? NextHome Living the Northwest has you covered at no expense to the agent. A modern style that connects, resonates, and communicates the role of the agent to differentiate NextHome Living the Northwest from firms with a tired image and dated technology. At NextHome Living the Northwest your listings will syndicate to over 800 different real estate websites. The power of our National Listing Distribution program gives your listings unparalleled exposure to all key homebuyer web search sites and the best opportunity to sell your listings for your clients. At NextHome Living the Northwest, fees are kept low.